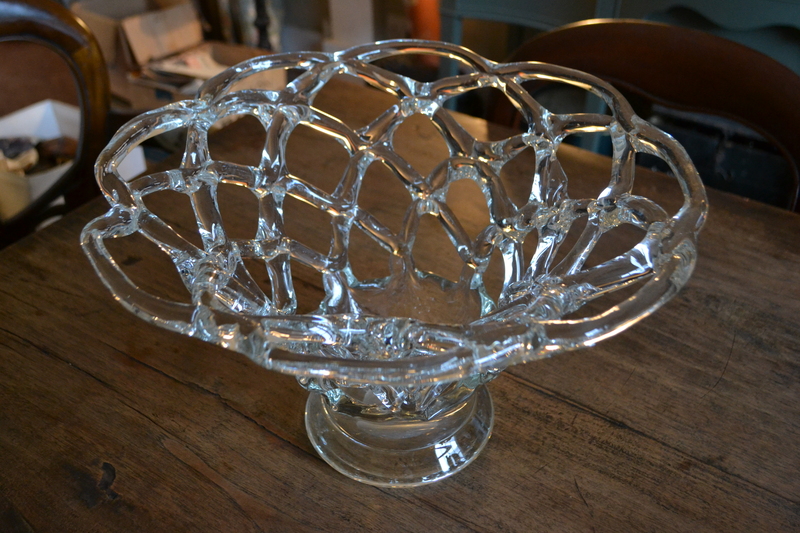 Latticed glass basket bowl - possibly Steuben? 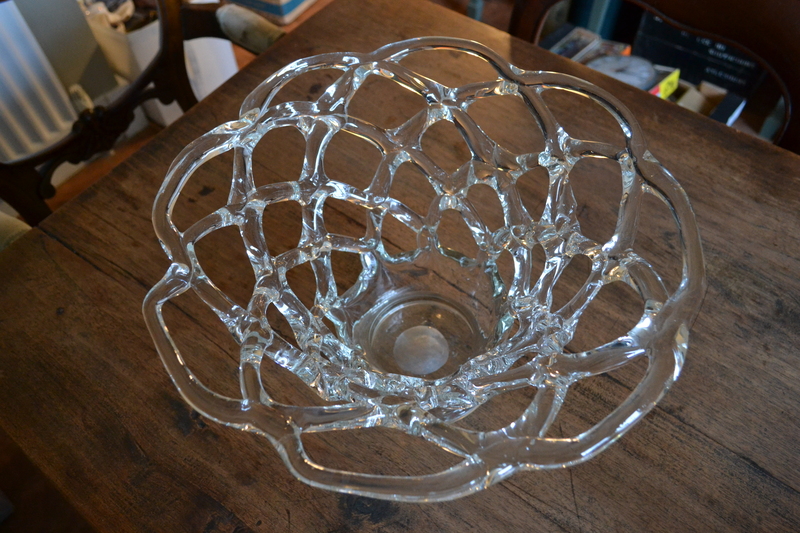 I recently purchased this latticed glass basket bowl, which I think could be Steuben. 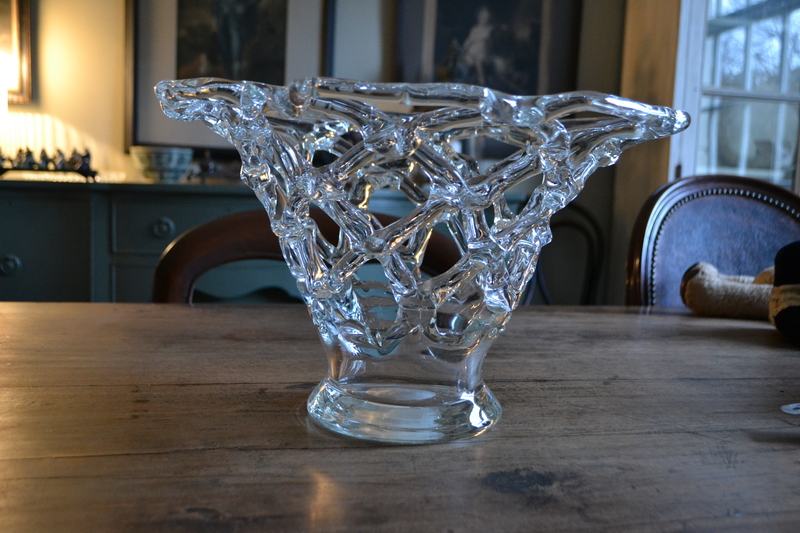 It has a ground pontil at the base and is 9.5 inches high by 15 inches diameter at the widest point. 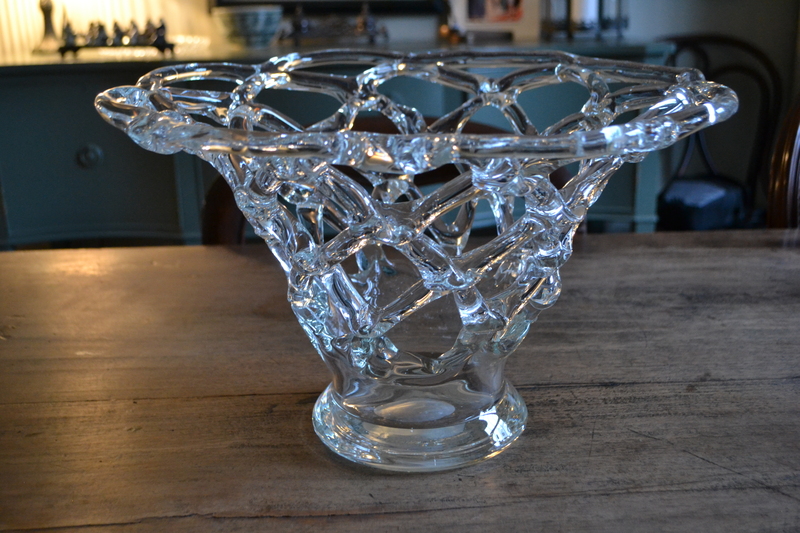 Could anyone give me any further information on this item? Put on some magnifier glasses and look for the Steuben mark - see a webpage like this for guidelines as to what you are looking for.